Far cry – Essential Tips related to the Gameplay! What Are The Issues You Face While Playing RuneScape? Blood Shards are the useful currency of the game called Diablo 3. Therefore, if you are a player of this game and wants to survive more and more, then you should simply choose the option of the blood shard. No doubt, it may be quite complicated to earn and use the currency, but if you want to achieve high ranking in the game, then it would be the great method. 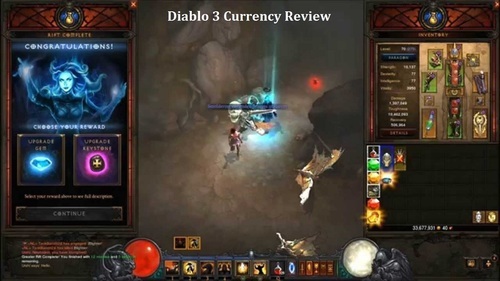 You are able to use this currency in order to buy the items from the Kadala via the gambling. For earning the currency, you can pick it by walking over them that would be just like the gold. People those are newly join the game called Diablo 3 they should simply pay attention to the collection of the currency. Players may get confused in the beginning that how they can collect the Blood Shard, so they can easily get it like the gold currency. In addition to this, you just need to walk simply over the blood shared in order to collect them all. Even it will automatically increase the amount of currency in the game so you should take it seriously. The currency would be really useful if you are a new player so it would be the best option. You can easily possess not more than 500 blood shards at only one time. If you take it more than 500, then it cannot be picked up by the player. If you are playing the game on the solo mode, then it is possible to enhance the limit of the collection of the currency by 10, stacking. Nevertheless, you should simply take care of your account because only currency like gold and blood shard will give you proper support in order to stay on the top of the game.